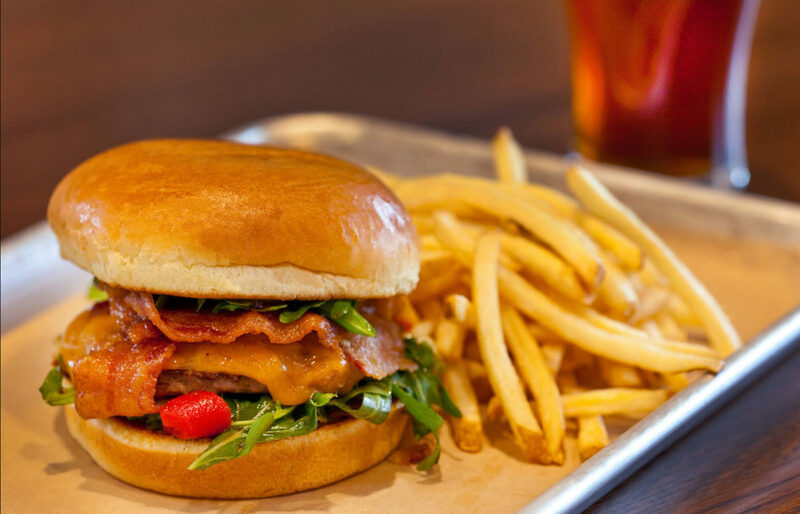 Burger Theory® in Kansas City provides a casual eating and drinking experience, focusing on serving a better burger with a craft beer positioning. 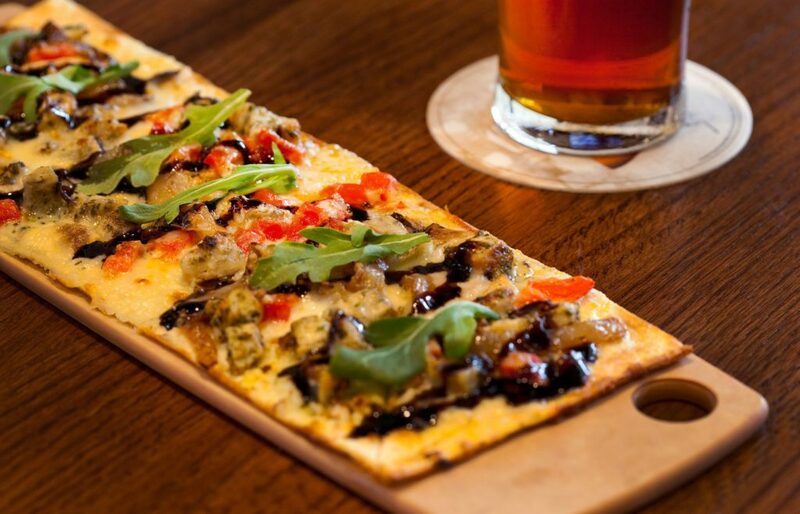 This concept hits several other food trends too, with custom flatbread selections and mason jar dessert specialties. The carefully designed layout drives guest activity and comfort during your visit. Our menu uses new flavors to reinvent classic dishes and offers guests customizable options to excite their taste buds and create the perfect meal. A proprietary beef blend in our specialty burgers with a Create-Your-Own menu offering 4,320 possibilities. Signature house-made mini-desserts, served in individual mason jars. A selection of 30+ local, regional and classic craft beers. 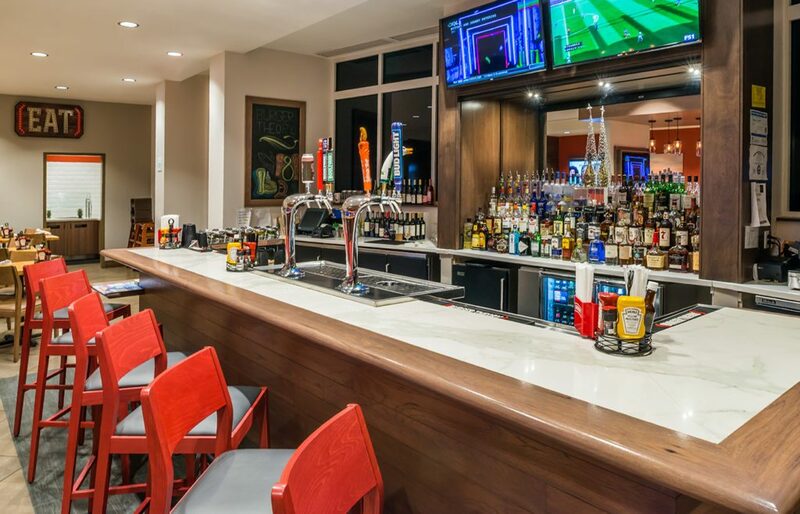 Our open and innovative layout meets casual rustic design to create a fun, inviting, and lively atmosphere where guests can socialize and unwind after a long day. At Burger Theory in Kansas City we strive to build genuine relationships with every guest to create a unique & memorable experience. 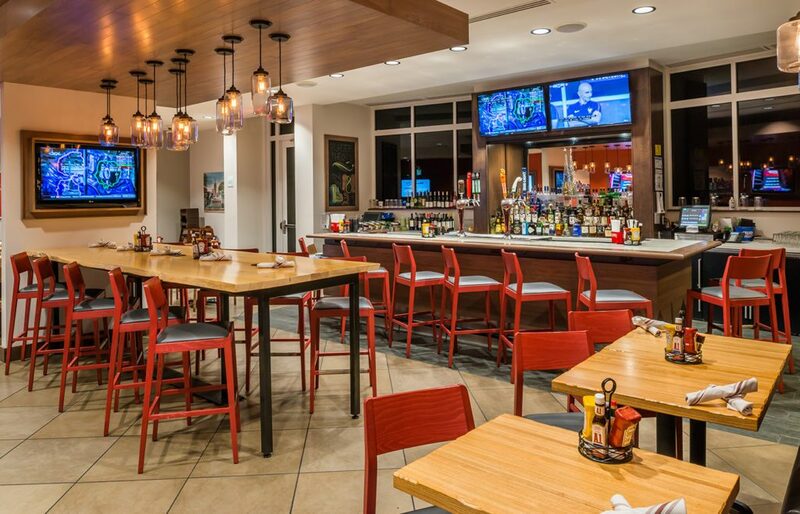 Located near the Kansas City International Airport and inside the Holiday Inn, we cater to guests who live or work in the Kansas City Northland area or are enjoying their stay in the Holiday Inn. We are also adjacent to the KCI Expo Center, so we serve guests who are attending an event there. Visit Burger Theory Kansas City if you’re looking for a place to eat near the airport or you live in the Northland. We offer carry out for dinner! Order carry out and receive a free fountain drink with your order.